Irene Phillips Service Details - East Liverpool, Ohio | Dawson Funeral Home, Inc.
East Liverpool, Ohio – Irene Phillips, 97, of Newell passed away Thursday, November 22, 2018 at Valley Oaks Care Center. Irene was born August 22, 1921 in Brush Creek, Ohio a daughter of the late Raymond and Viola Grimm Russell. Irene was a devoted mother and grandmother who loved her family. She was a strong willed independent person who became more reserved later in life. Irene loved to read, do crossword puzzles and her sweets. 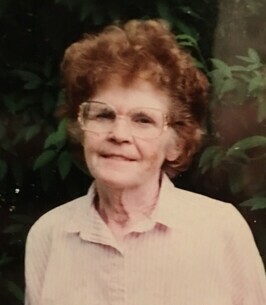 She enjoyed going to Mountaineer Race Track where she spent many hours playing Keno, her favorite game. Irene was a hard working handle caster retiring after 20 years of service from Homer Laughlin in 1982. Preceding Irene in death were her son Robert “Dave” Phillips, Jr. and his wife Janie Phillips; granddaughter Michelle Phillips. She was also preceded in death by eleven siblings. Surviving are her children Joyce (Donald) Annan of Fairhope, AL, Glenn (Alice) Phillips of Newell, Jerry (Nancy) Phillips of New Cumberland, Janice Purinton of Newell, Beverly Femenella of Orlando, FL, Raymond (Kathy) Phillips of New Cumberland and Diane (David) Kelley of Sutherland, VA; 20 grandchildren; many great grandchildren; several great great grandchildren and brother Ronnie (Linda) Russell of Marion, IN. Per Irene’s request there will be no services. Arrangements entrusted to the Dawson Funeral Home. To send flowers to the family of Irene Phillips (Russell), please visit our Heartfelt Sympathies Store.